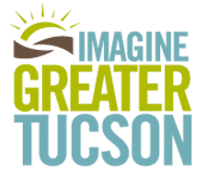 IGT (Imagine a Greater Tucson) is a desire for greatness, but is it any more than just a wish? Will it be Tucson’s voice? Will it be a voice of planning reason as Tucson moves into its future? For an update on the IGT results, view their website. http://www.imaginegreatertucson.org/what-is-igt/ As the IGT project comes to completion, we can look back at over two years of community work. Last May, 2012, at the College of Architecture, Urbanist and Architect, Corky Poster brought up some good things in a defining keynote address. He discussed alternative modes of transportation, surgically installed density sectors, form based building design, planned housing @ IGT densities and neighborhood respect… Click here to read the rest of this article.